It’s that time of year when trees are being trimmed and stockings are being hung by the chimney with care. Twinkling lights and silent nights mark the countdown to Christmas and our homes become the backdrop to memories that will last a lifetime. 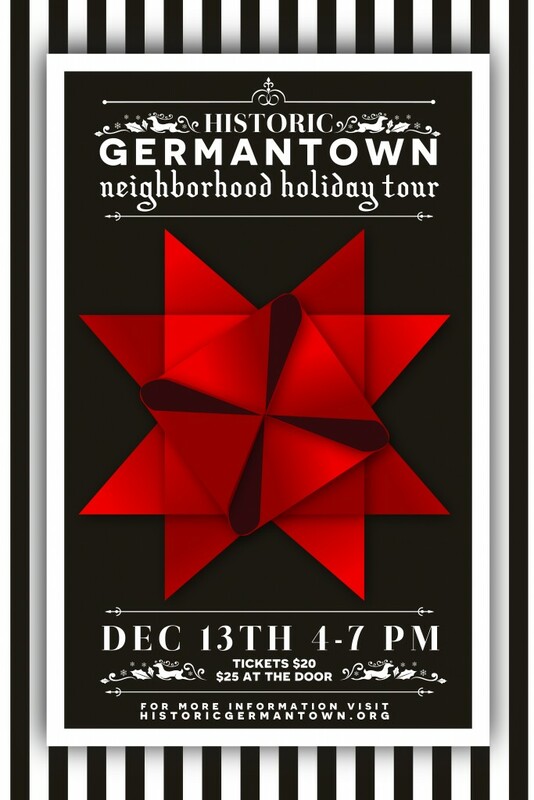 We want to help make the season bright by giving away two tickets to the Historic Germantown Neighborhood Holiday Tour on Sunday, December 13th. All you have to do to enter is post a pic to our Facebook page of your home’s holiday mantel or tweet your pic to us. Don’t worry. If you don’t have a mantel in your home, pick the room you feel is the most festive in your home and snap a pic. Our staff will select a winner from the pics on Friday, December 11th. The winner will be announced on our Facebook page and also notified via email. From all of us here at The Miles Team at Keller Williams, Happy Holidays! Eat. Sip. Stroll. 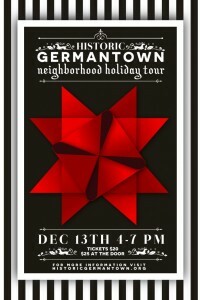 A festive evening awaits at this year’s annual HGN Holiday Tour. Historic Germantown homes, churches & local spots, bedecked with lights, ribbon & tinsel, will showcase our neighborhood’s magic. Starting at Mad Platter, appetites will be satisfied with savory & sweet, thirsts quenched with bubbly & nog. From there, carolers will guide us through the neighborhood with the final stop Wilder at the Square/4th & Madison, offering more food, sips & song to end the evening. All proceeds will go towards beautification of this urban jewel.